Device Information (impelDeviceInfo) is a tool that retrieves system information for a Windows PC. 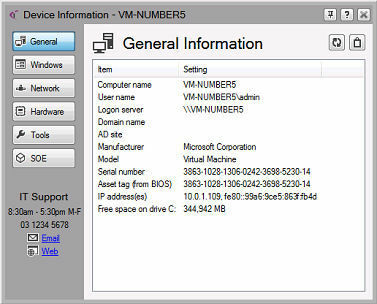 impelDeviceInfo can be run as a desktop application on any Windows-based x86/x64 computers which have .NET Framework 4 Client Profile or higher installed. It can display information about the hardware and software on your system that could be useful.